With over 170 betting shops in the Republic of Ireland, Paddy Power, the biggest Irish bookmaker with 170 betting shops in Ireland, laid down its odds for the top women competing in the Olympic 10K Marathon Swim at the 2012 London Olympic Games. While Payne is the overwhelming favorite by insiders, the British media and Paddy Power for good reason based on her record of success over this quadrennial, her competitors have the passion, drive and talent to pull off an upset of gargantuan proportions. 1. Keri-Anne Payne of GBR with a 2:01:58 qualifying time is the odds-on gold medal favorite. The two-time world champion stands head-and-shoulders above the field while serving as one of the most accomplished ambassadors of the sport. As an athlete, she is focused and hard-working. As a personable spokesperson, she can eloquently explain the sport in simple terms and profoundly describe what drives her to reach her goals. As the silver medalist at the 2008 Beijing Olympics, she uniquely combines beauty, brawn and brains. In the heart of London, Keri-Anne will take off on a sprint right from the start and will push the pace throughout the marathon swim. The hopes of Great Britain for a gold medal ride on the shoulders of this charismatic superstar. 2. 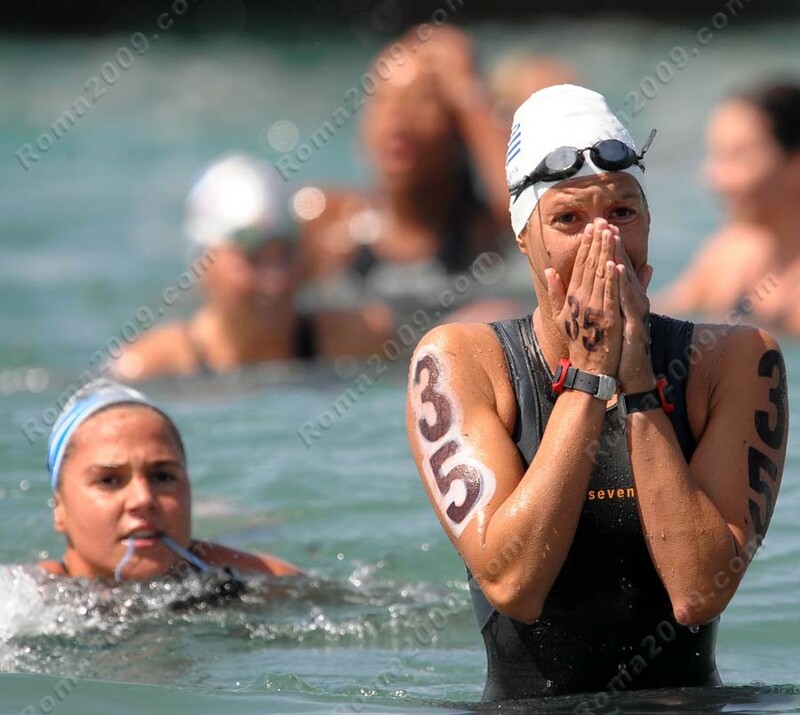 Martina Grimaldi of ITA (2:01:59) is a seriously minded Italian star of the open water. Friendly, focused and fast, Martina can handle the furious high pace of her rivals in the marathon world right from the beginning all the way through to the finish. Cold water, warm water. Rough water, calm water, the 24-year-old student will be near the lead of the pack throughout the race. She understands tactics and strategy, the strengths and weaknesses of her competitors. She can flat out swim in the backstretch and battle around the turn buoys. She has a closing sprint and she is not afraid of physical contact. With dreams of Olympic gold, the world champion for Italy is a good bet for Olympic gold. 3. Marianna Lymperta of GRE (2:01:01) is a savvy veteran from Greece who will be taking her fourth trip to the Olympic Games. The multilingual extrovert understands the value of hard work and enjoys the pushing herself in her twice-daily workouts. She knows her decades of sacrifice and commitment are the foundation that can enable her to hear the Greek national anthem on the Olympic podium. She understands that August 9th in the Serpentine will present her best opportunity for Olympic gold after competing at the 2000, 2004 and 2008 Olympics. With a bright smile and warm personality, she thrives on pressure and will relish the spotlight in front of tens of thousands of spectators ringing the Olympic marathon swimming venue in Hyde Park. 4. Melissa Gorman of AUS (2:01:12) has the potential to carry on the lines of greatness of her Australian swimming predecessors. From the shores of Down Under to the center of the Commonwealth, Australians have long demonstrated their freestyle prowess around the world. Tall and statuesque, outgoing and friendly, Melissa is a goddess of the open water world. Her ability to sprint, her competitive spirit and her well-developed stamina based on decades of hard work in the pool and oceans around the world is a enviable mix. Many insiders to expect to see Gorman’s smiling countenance on top the Olympic podium. Cecilia Biagioli of ARG (2:01:12) is another wily veteran of three Olympics. Coached by her brother, the quiet, seriously minded marathon swimmer is ready for worldwide glory in her fourth Olympics. The slim, tough-minded athlete is respectful of all the opportunities given to her through her hard work and aquatic dreams. 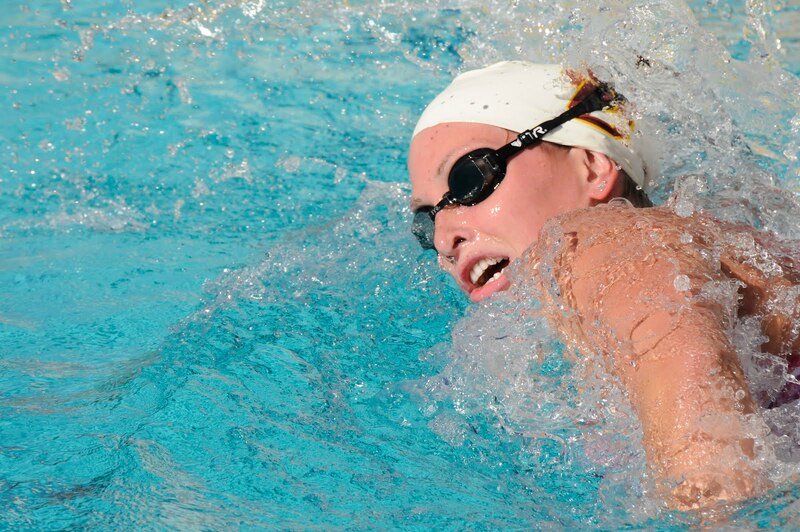 She has the endurance to stay in the front edges of the lead pack and the speed to close fast after two hours of fast swimming. 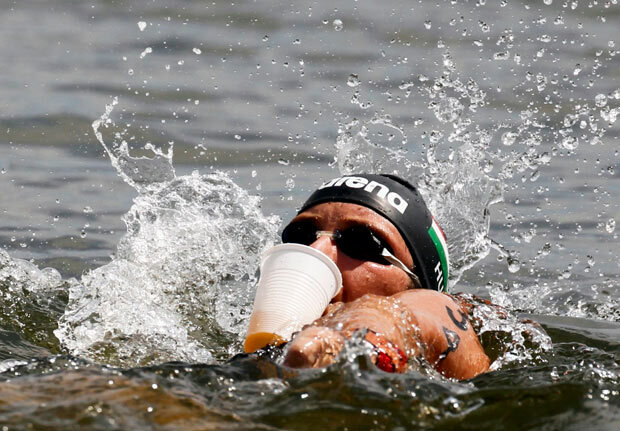 She has the unquestionable ability to squeeze past anyone in the field and pull off an upset that would make the marathon swimming-mad Argentina delirious with delight. 6. Poliana Okimoto of BRA (2:01:13) is living her dream. Cautious at first when she was introduced to marathon swimming, she has now taken to the oceans, rivers and lakes of the world. 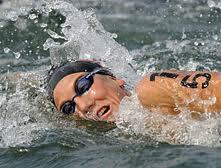 A slender marathon swimming champion, she just finished outside the money at the 2008 Beijing Olympics. 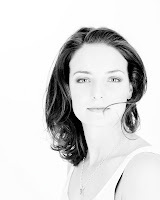 Coached by her husband, she is friendly and personable onshore. But she transforms herself to a competitive endurance machine once she hits the open water. Fit and fast, strong and savvy, the Brazilian star has what it takes to stand on top of the Olympic podium. 7. Jana Pechanova of CZE (2:02:13) is a dark horse who has the potential to move up from her 8th position from the 2008 Beijing Olympics. Always in the top ten and occasionally poking around the top five, she is only out of the top three by seconds. One great turn around a buoy, one fast finish to end her career and Jana may be able to have an Olympic medal hung around her neck. She will be in the lead pack throughout the race, dodging physical contact and surging when necessary. In a sport where athletes can expect the unexpected, Pechanova has the physical and psychological tools to surprise many. 8. Angela Maurer of GER (2:01:15) was barely edged out of a bronze medal in the 2008 Beijing Olympics. The German mother and police officer has the guts and game to rectify the situation in London. The 35-year-old Wunderkind will make her presence felt throughout the race, around the turn buoys, and will be near the top at the end. While she lost out on an Olympic bronze by only a stroke four years ago, the 25 km world champion is most definitely ready to seize the opportunity in the Serpentine. Maurer, who just bared it all sans swimsuit for a German magazine, will have something even more to show in London. 9. Swann Oberson of SUI (2:02:16) is coming off of a 5-kilometer world championship victory at last year’s world championship. Riding a hot streak into London, the tall and statuesque athlete is ready physically and psychologically to have the race of her life in the culmination of her long distinguished career. A two-time Olympian with a top ten finish in the 10 km marathon swim at the Beijing Olympics, the medal dark horse knows how to pace herself with the best of the world and sprint to seal the deal. 10. Erika Villaecija Garcia of ESP (2:01:18) is coming into her own. A two-time pool swimming Olympian from Spain, she has turned her talents and sights to the open water swimming world. 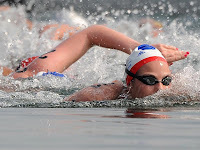 With a steely mind fortified with stamina developed by hours and hours of swimming every day, Erika has the tools – speed, endurance and strategy – to surprise many and fulfill her long-held Olympic aspirations. 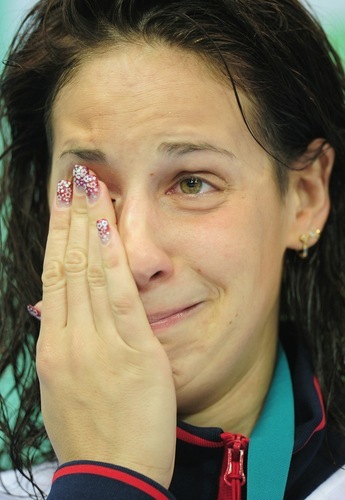 With the swim of her life and a calm under the potentially overwhelming pressure at the Olympics, Erika may be crying at the end of the race with tears of joy. 11. Haley Anderson (USA) qualified in the second Olympic qualifier in Portugal but has a golden chance to medal. While one of the greenest swimmers in the field, she clearly has the endurance, savvy and speed to stand on the medal podium when all the splashing is over and done with. The tall personable Californian with a permanent smile on her face trains with dozens of other Olympians and world champions at USC and will benefit by being with the powerhouse USA Olympic team prior to her race. Cool under pressure, expect the cold water-loving Anderson to rise to the occasion in the Serpentine with a finishing kick that will cause a lot of red, white and blue flags to wave at the end. 12. Eva Risztov (HUN) qualified in the second Olympic qualifier in Portugal where she was barely touched out by Haley Anderson, but look for the pool-turned-open water specialist in the lead pack throughout the race. The quiet dark horse from Hungary who just missed an Olympic medal in the 400m individual medley in 2004 has the physical tools, international experience and mental smarts to slide in either on the inside or fight her way around the outer edges to take a spot on the Olympic podium. 13. 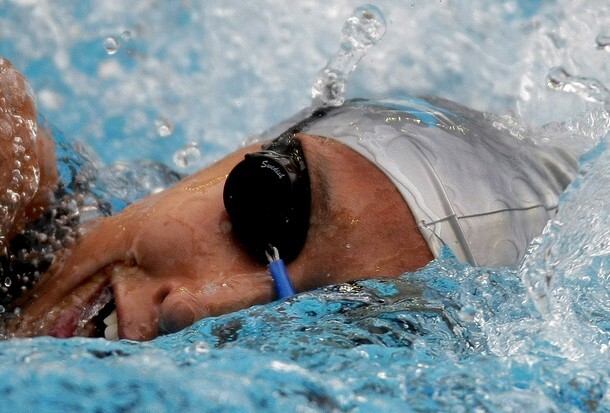 Yanqiao Fang (CHN) qualified in the second Olympic qualifier in Portugal but has placed as high as fourth at the world open water swimming championships in the 10 km distance and she knows what it takes to compete with the best. While she remains an unlikely medalist, the two-time Olympian will create stress for others in the lead pack. She is a physically strong swimmer who maintains a commanding presence and occasionally initiates contact among her peers. The space she creates for herself around the buoys and throughout the race will necessarily move at least one major competitor out of the medal hunt. 14. Zsofia Balazs (CAN) qualified in the second Olympic qualifier in Portugal and represents a long line of accomplished Canadian female marathon swimmers from Marilyn Bell and Cynthia Nicholas to Christine Cossette and Vicki Keith. She will hang with the top pack for much of the race and will draft as proficiently as possible on the last lap, but her future is rosier in 2016 at the Rio Olympics than her chances of medalling in London. 15. Ophelie Aspord (FRA) qualified in the second Olympic qualifier in Portugal and is more of a 5 km specialist than a 10 km star. She has the ability to crack in the top 10, but she will have to swim the race of her life to do so. More likely, the French eau libre swimmer will finish in the top 15. 16. Natalia Charlos (POL) qualified in the second Olympic qualifier in Portugal and will stick with the main pack for as long as she can as Poland’s first representative in the Olympic marathon swim. Expect a top 20 finish if she swims well. 17. 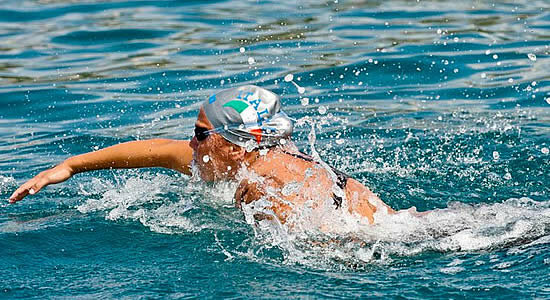 Anna Guseva (RUS) qualified in the second Olympic qualifier in Portugal and has the unfortunate role to follow in the wake of Russian superstar Larisa Ilchenko, the 2008 Olympic marathon swimming champion. Guseva has the ability to stay with the main pack but not for the entire race where she will finish in the top 20 if she swims well. 18. Karla Sitic (CRO) qualified in the second Olympic qualifier in Portugal and is a tough gamer with the international record of swimming anywhere from 5 km to 25 km. She will stay with the main pack for the first half and may finish in the top 15 if she swims well. 19. Wing Yung Natasha Terri Tang (HKG) qualified in the second Olympic qualifier in Portugal and will swim proudly for her native Hong Kong. But she does not have the speed to stay with the main pack in the later stages of the race. Look for a top 20 finish if she has the race of her life. 20. Yumi Kida (JPN) qualified in the second Olympic qualifier in Portugal and has the aerobic conditioning and speed to stay with the main pack until the very last stages of the race if she can avoid warnings or a disqualification which is her weakness. She can finish in the top 12 if she swims up to her potential. But look for her more in 2016. 21. Olga Beresnyeva (UKR) qualified in the second Olympic qualifier in Portugal and can tough out a fast 10 km with her fellow competitors. If she can position herself in the middle of the pack in the first half, she may finish in the top 12 at the end with some luck and, more importantly, some smart racing which she is entirely capable. 22. Yanel Pinto (VEN) qualified in the second Olympic qualifier in Portugal and has the potential to finish in the top 15 with a smart races that plays to her strengths. Sister of the 9th place finisher in the marathon swim at the 2008 Beijing Olympics, Pinto has the DNA to surprise many observers and fans of the sport. 23. Heidi Gan (MAS) qualified in the second Olympic qualifier in Portugal and represents Malaysia with pride and a lot of training and racing done in Australia in preparation. While this will be her first major international swim on such an Olympic stage, her coaches and country have high hopes for a top 15 finish if all goes to plan. 24. Jessica Roux (RSA) qualified in the second Olympic qualifier in Portugal over her rival Natalie du Toit in a tight battle. On the Olympic stage, she will need to swim fast right from the start in order to draft and not lose the lead pack. If she can hang with the main pack in the first 5 km, adrenalin and training may enable her to finish in the top 20. 25. Lizeth Rueda Santos (MEX) qualified in the second Olympic qualifier in Portugal after New Zealand and the Netherlands declined invitations. Like Gan, Roux and Tang, she will need to start fast and hope to hang onto the lead pack. If she can do so, the the Mexican representative has the experience to finish in the top 20. But whatever the odds and predictions, the first principle of open water swimming will hold true: Expect The Unexpected on August 9th at 12 noon in Hyde Park.